John Soluri is Director of Global Studies at Carnegie Mellon University, where he teaches courses on food, energy, environment, and commodities in Latin America. He is the author of Banana Cultures: Agriculture, Environmental Change, and Consumption in Honduras and the United States (2006). 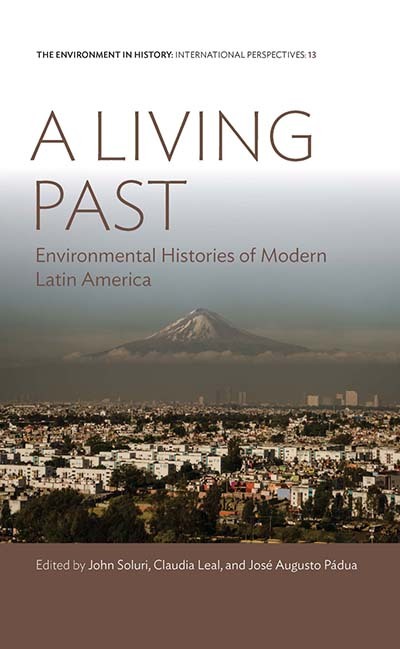 Claudia Leal is Associate Professor at the Department of History at Universidad de los Andes in Bogotá, Colombia. She has studied rainforest regions and the formation of societies after emancipation from slavery. She is currently researching the history of Colombian nature conservation. José Augusto Pádua is Professor of Environmental History at the Institute of History, Federal University of Rio de Janeiro, where he is also coordinator of the Laboratory of History and Nature. From 2010 to 2015, he was President of the Brazilian Association of Research and Graduate Studies on Environment and Society.